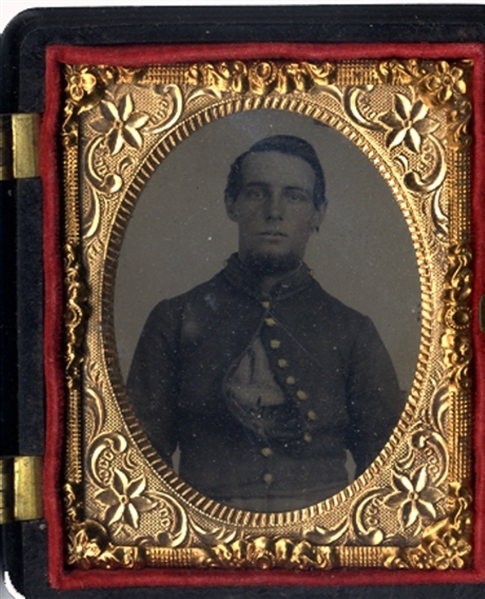 Tintype of Union soldier in uniform, 1/9th plate, with gold gilt buttons, purported to be 96th Pennsylvania Infantry. Full gutta percha case. Fine condition.